It just can't get much easier than this my friends. This is my go to when I am really hungry and want something delicious and fast. I am a simple girl with a simple appetite and so I keep my nachos pretty basic...but you can add anything you want to this basic recipe. Mix all three cheeses in a big bowl and set aside. On medium heat fry the ground chuck until brown, breaking in up with a wooden spoon. While meat is frying, arrange a layer of nacho chips on a dinner plate that is microwave safe. Spread some of the refried beans on a few of the chips but not every one of them. Leave some without the beans. 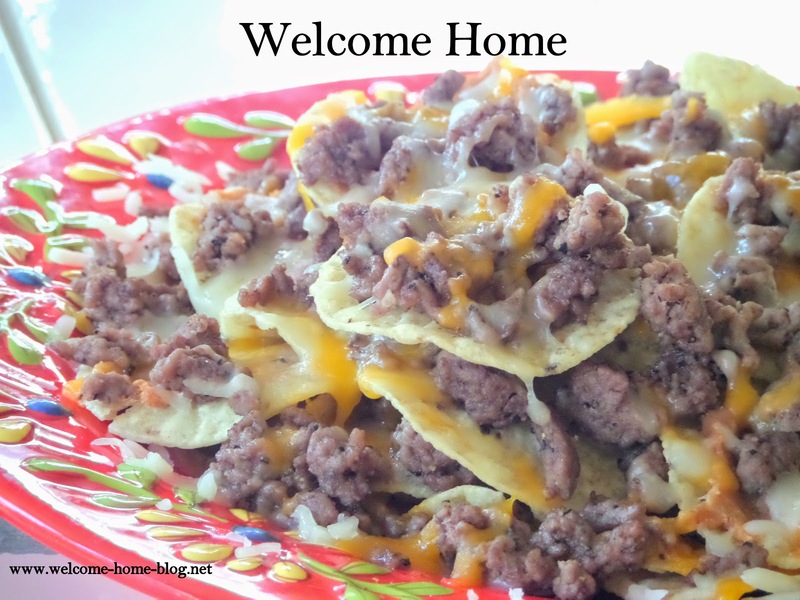 Drain ground beef or use a slotted spoon to sprinkle meat over the first layer of nacho chips. Then sprinkle mixed cheeses all over the top. Start the next layer. Spread some of the refried beans on a few of the next layer of chips then sprinkle meat and then cheese all over nachos. Build a third layer exactly the same way. Then microwave plate uncovered on high for 2 minutes until cheese is melted. Serve with sour cream or guacamole or salsa. Enjoy! Note: You can chilies, tomatoes, salsa, jalapenos, bacon, onions, olives, beans, and anything else you can think of.